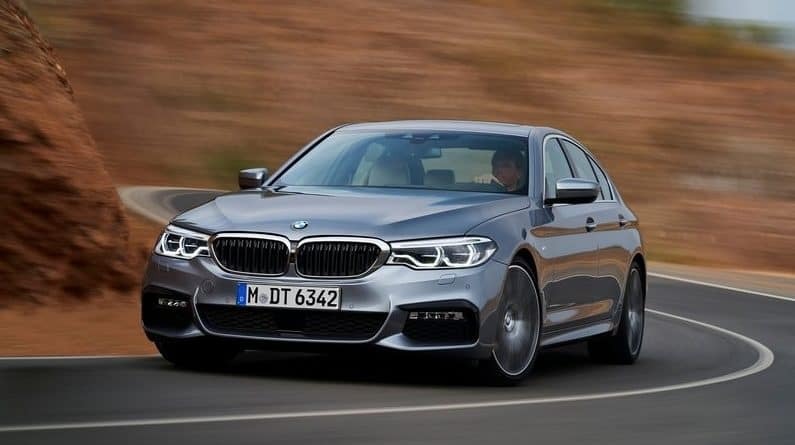 We reported earlier that 2017 BMW 5-series in imported to India for testing. 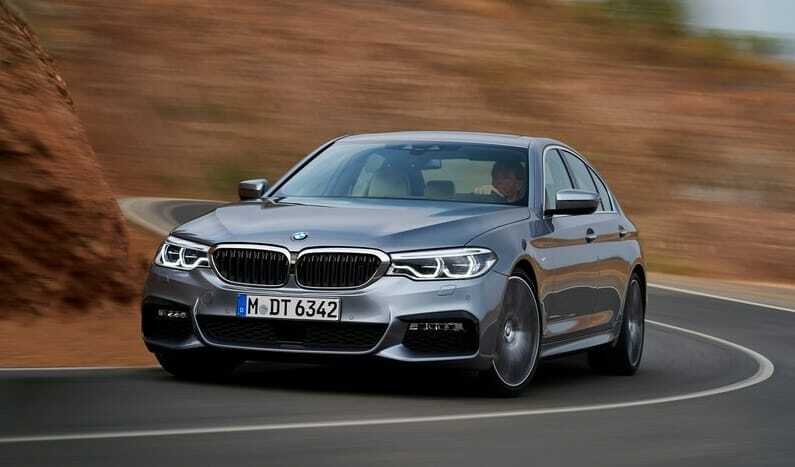 The company has finally unveiled the refreshed 5-Series and it seems that BMW has a winner in their arsenal. 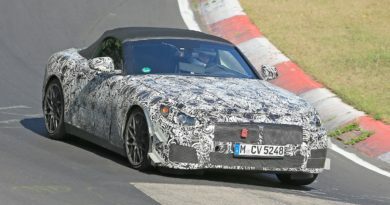 As guessed earlier, the new 5-Series is inspired from the latest 7-Series. You might think that a lot has changed on the outside but, wait till you hear what all has changed under the skin. 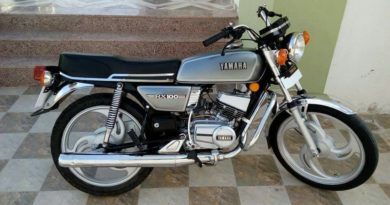 It features lighter construction, new engines, more technology, and increased fuel efficiency. Design-wise, the car gets the 7-Series-like hockey-stick line on the side, LED adaptive headlights that merge with the Gaping kidney grille. The signature aggressive shoulder line is carried over from the previous car but with a slight change. The rear of the car, especially the LED tail lights takes inspiration from the 3-Series. And the dual exhaust tips is standard all across the range. To improve aerodynamics, the kidney grille now has active shutters that become a part of BMW’s EfficientDynamics enhancements. The company says that these enhancements also helps reducing lift at higher speeds. BMW is claiming that new 5-Series is up to 62KG lighter than before. This has been achieved by using high-strength steel, and metals like aluminium and magnesium. In spite of being lighter, the dimensions of the car have increased- it’s now longer, wider and taller than the outgoing model. 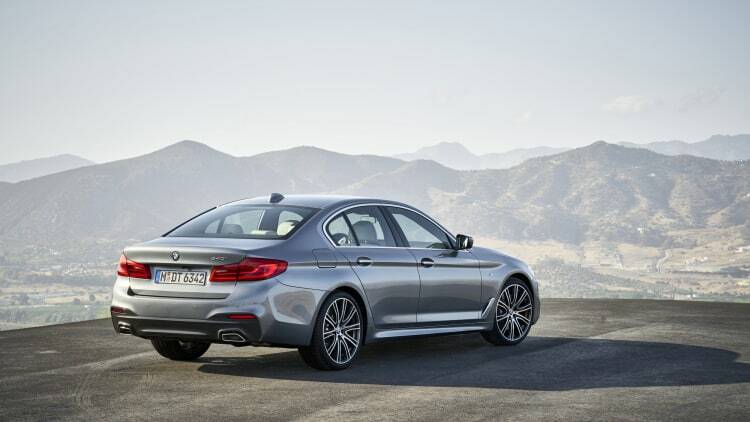 The performance of the new 5-Series should be impressive when you consider that new engines are more powerful. 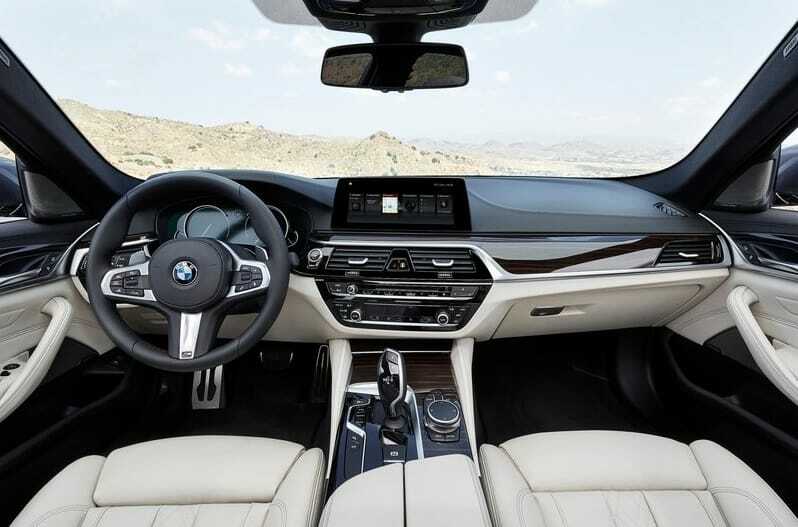 Step inside, and you will notice a number of updates including 7-Series like gesture control, iDrive 6.0 infotainment unit, voice control, and heads-up display, new multi-contour massage seats. The interiors are also said to be quieter than ever thanks to extensive use of sound-deadening materials. For the music aficionados, the car will also be offered with optional Harman Kardon 600-watt sound system with 16-speakers. Driver assistance package comprises of radar cruise control, lane departure warnings, and lane keeping assist. The car will be able to steer around certain obstacles in some scenarios. The car will feature parking assist features like 3D surround view and ParkNow parking reservation service. 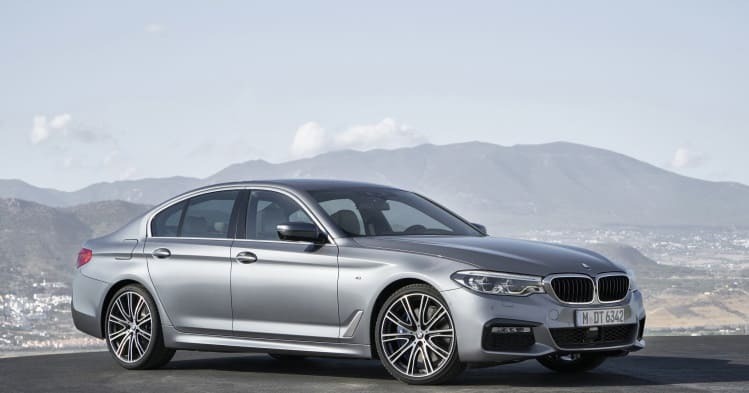 The company will start selling new 5-Series in 530i, 540i and 520d variants in Europe from February 2017. Other engines will be added later in March same year. In India, the 2017 BMW 5-Series in expected to get launched in 2017 second half. 2.0-litre, 4-cylinder petrol engine that churns out 252PS of max power and 350Nm of peak torque. It utilises 8-speed ‘Steptronic’ automatic gearbox. 0-100kmph time- 6.2 seconds. 3.0-litre, 6-cylinder petrol engine that produces 340PS of max power and 450Nm of peak torque. It uses an 8-speed automatic gearbox. 0-100kmph time- 5.1 seconds. 2.0-litre, 4-cylinder diesel engine that makes 190PS of max power and 400Nm of peak torque. Transmission can be had in the 6-speed manual gearbox or an 8-speed automatic unit. 0-100kmph time- 7.7 and 7.6 seconds respectively. 3.0-litre, 6-cylinder diesel engine producing 265PS of max power and a peak torque of 620Nm. This engine is mated to an 8-Speed automatic gearbox. 0-100kmph time- 5.7 seconds. 2.0-litre, 4-cylinder petrol engine that is coupled with a plug-in hybrid electric drive system. Power and torque figures are 252PS and 420Nm respectively. Transmission duties are handled by an 8-speed autobox. 0-100kmph time- 6.2 seconds. 2.0-litre, 4-cylinder diesel engine that produces 190PS of max power and 400Nm of peak torque. 0-100kmph time- 7.5 seconds. 4.4-litre, V8 petrol engine that makes 462PS of max power and 650Nm of peak torque. The engine comes couples with an 8-speed automatic gearbox. 0-100kmph time- 4 seconds flat. Also See: Germany Banning Internal Combustion Engines? 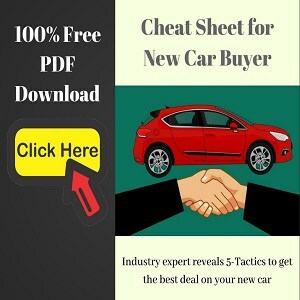 ← Germany Banning Internal Combustion Engines?